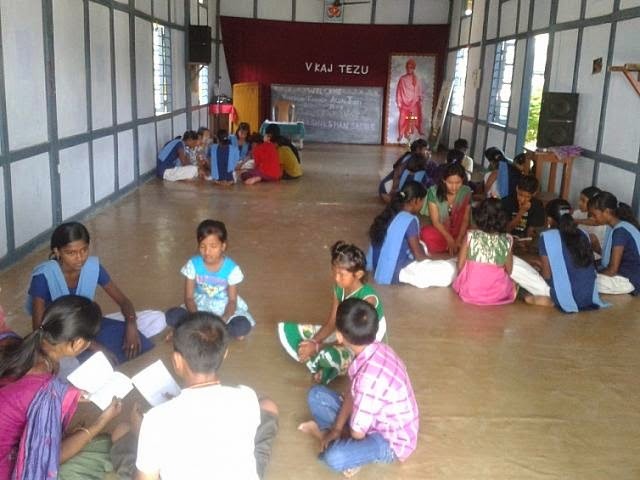 Vivekananda Kendra Arun Jyoti, Tezu has organized One day Sanskar Varga Sammelan specially designed for the Karyakarta of Tezu on 12th October 2014 at Vivekananda Kendra Vidyalaya Tezu, There were 37 participant in which 17 brothers and 20 Sisters. There were the 2 Sanskar vargas (Kholoriang Sanskar Varga and Filed Hostel Sanskar Varga were merged and the sammelan was conducted by the Varga Shikshakhs of Sanskar Varga of the 2 Sanskar Varga running at Tezu. To give future leaders a positive direction and to inculcate patriotism, Cultural value, self discipline and the attitude of Social Service, with the twine ideal of Vivekananda Kendra “Man Making - Nation Building” through the various sessions on yoga, lecture, games & group discussion.